"Thousands of authors write business books every year, but only a handful reach star status and the A-list lecture circuit. Fewer still-one, to be exact-can boast his own action figure. . . . Godin delivers his combination of counterintuitive thinking and a great sense of fun." "This book is a gift." 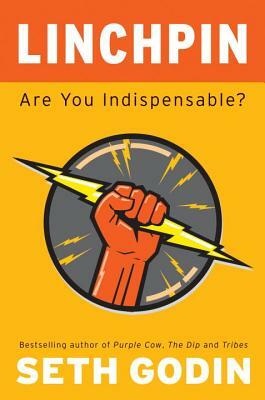 "If Seth Godin didn't exist we'd need to invent him-that's how indispensable he is! You hold in your hands a compelling, accessible, and purpose-filled book. Read it, and do yourself a big favor. Your future will thank you!" "This is what the future of work (and the world) looks like. Actually, it's already happening around you." "Thousands of authors write business books every year, but only a handful reach star status and the A-list lecture circuit. Fewer still - one, to be exact - can boast his own action figure....Godin delivers his combination of counterintuitive thinking and a great sense of fun."